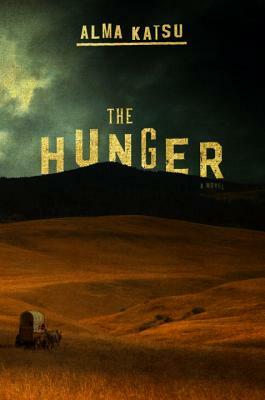 A tense and gripping reimagining of one of America's most fascinating historical moments: the Donner Party with a supernatural twist. That is the only way to explain the series of misfortunes that have plagued the wagon train known as the Donner Party. Depleted rations, bitter quarrels, and the mysterious death of a little boy have driven the isolated travelers to the brink of madness. Though they dream of what awaits them in the West, long-buried secrets begin to emerge, and dissent among them escalates to the point of murder and chaos. They cannot seem to escape tragedy...or the feelings that someone--or something--is stalking them. Whether it's a curse from the beautiful Tamsen Donner (who some think might be a witch), their ill-advised choice of route through uncharted terrain, or just plain bad luck, the ninety men, women, and children of the Donner Party are heading into one of one of the deadliest and most disastrous Western adventures in American history. As members of the group begin to disappear, the survivors start to wonder if there really is something disturbing, and hungry, waiting for them in the mountains...and whether the evil that has unfolded around them may have in fact been growing within them all along. Alma Katsu is the author of The Taker, The Reckoning, and The Descent. She has been a signature reviewer for Publishers Weekly and a contributor to The Huffington Post. She is a graduate of the Master's writing program at the Johns Hopkins University and received her bachelor's degree from Brandeis University. Prior to the publication of her first novel, Katsu had a long career as a senior intelligence analyst for several US agencies and is currently a senior analyst for a think tank. She lives outside of Washington, DC, with her husband. NPR's "100 Best Horror Novels"
PopSugar's "31 of the Best New Books You Should Read in March"
Vulture's "13 Great Horror Books Written by Women"
io9's "28 New Science Fiction and Fantasy Books Well Worth Checking Out"
PureWow's "20 Books We Can't Wait to Read in 2018"
NerdMuch's "20 Best New Sci-Fi/Fantasy Books"
SyFy Wire's "Out of This World Book Releases"